Starting a new media project in the new year? Before running into image issues, brush up on copyright rules with these resources—and dig in even deeper with our free, online course Understanding Copyright & Fair Use. Based on “I Haz Rights! 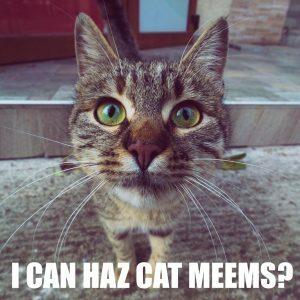 Memes and Fair Use,” originally posted on the Stevens Library blog. Disclaimer: The following is for informational purposes only, and is not to be taken as legal advice. Look for more specific information in the article linked below on memes, copyright, the law, and privacy..
Image-based memes are easy to create and easy to spread, though whether they will go viral is never a given. If you create or post one, remember to pay attention to the source of the image. Your best bet is to start with an image or clip that is already labeled for reuse or is in the public domain, meaning out of copyright protection altogether. Google Images search tools provides such a filter, or try the Creative Commons search for work licensed for reuse via Creative Commons licenses. When you see a meme going around, give a thought to the subject of that meme image, whose life may forever be changed. The Brown Bookshelf is designed to push awareness of the myriad Black voices writing for young readers. Our flagship initiative is 28 Days Later, a month-long showcase of the best in Picture Books, Middle Grade, and Young Adult novels written and illustrated by Black creators. You can read more about the members of The Brown Bookshelf here. 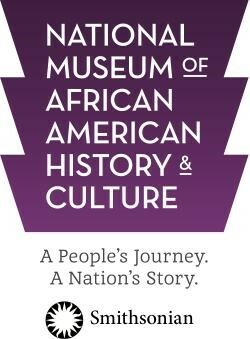 Collection stories invites NMAAHC staff to share their interpreation of the collections they find most powerful from a variety of perspectives. The collection stories are just one of the resources available through the museum's website.